The life on the earth mostly depends on the photosynthesis of plants. Because, all animals obtain energy as a chemical energy from carbohydrates, proteins & lipids. The plants produce these, required chemical energy via photosynthesis by using the sunlight, carbon dioxide and water. As you know modern world required new renewable energy sources as alternative to the petroleum fuels. Within renewable power sources the solar power holds a major role. Most people prefer to use solar panels for their energy requirements. But, human made solar cells are not much efficient than the photosynthetic system of a plant. 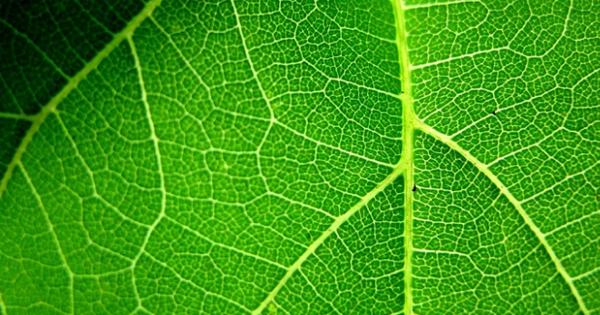 Therefore scientist try to mimic the leafs of plants and produce energy fuels with a efficient way. As a results of these researches the scientist in Joint Center for Artificial Photosynthesis (JCAP), US. Have been able to produce 10% efficient fuel production system by mimicking natural processes of photosynthesis in plants. The scientist at JCAP have spent five years for produce these fuel system. The new system contents three main components. They are photoanode, Photocathode and a special membrane. The water molecules are oxidized at the photoanode using the sunlight and produce oxygen gas, photon and electron. These produced photon and electrons move through the membrane to the photocathode and produce Hydrogen gas. These hydrogen gas separated and store as the fuel energy. The membrane is this system do a special task. Its avoid mixing oxygen gas produced at the photoanode and the hydrogen gas produced at the photocathode and stop the ignition. In solar panels silicon or gallium arsenide is used for absorb the solar energy. When producing photoelectrodes in fuel system the scientists faced the problem that rusting these metals when contamination with the water. That challenge has been won by applying nanometer sized thick titanium oxide layer over the metal surfaces. The task of splitting water molecules at the photoanode required a catalyst. The JCAP scientist used nickel as the catalyst. The nickel has applied to the photoanode as a two nanometer thick layer. The scientist demonstrated this fuel system with one square centimeter sized system. It was able to convert 10% of energy to chemical energy which was in the sunlight. Continuously, It can be operate can operate for more than 40 hours. Now the JCAP team conduct researches to improve the life time stability of these artificial leafs. It is very important to innovate new efficient renewable energy source for the future world. Otherwise We won’t be survive at the end of the petroleum fuels. Also these renewable energy sources are help to reduce the environment pollution.